Roller Skating is a strenuous and fast moving sport. By putting on skates and participating in this form of recreation you are personally assuming the risk of an accident inherent in this and any similar sport. It is in the nature of this recreation that people fall down or run into one another on occasion. If you are not willing to assume that risk, please do not roller skate here. If you doubt your ability to roller skate, please consider this notice before proceeding on to the floor. We can not be responsible for any injuries which occur to our patrons while they are present in this facility. In an effort to maintain a safe skating environment for our skating guest and to abide by insurance regulations please note the use of heelys, hoverboards, skateboards or push scooters are NOT allowed on the skating floor. We will allow the use of wheelchairs or strollers to be used on the skating floor providing they are pushed by an adult at what management deems a reasonable pace. Welcome to Tarry Hall Roller Rink! Tarry Hall Roller Rink opened in 1959 with a goal to provide a safe and enjoyable family experience. With a dedication to the community through our support to local schools, churches, private and civic groups, we strive to go beyond the standards in family entertainment. Your family is our family. Tarry Hall Roller Rink is located in Grandville, MI and it has been under current ownership since 1968. 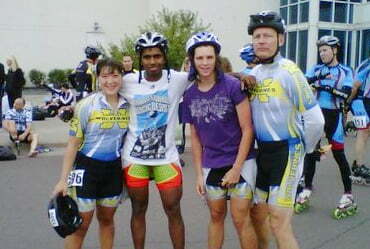 The Wolverine Speed Team is associated with the Great Skate Wolverines in Roseville, MI. Partnered together with World Team Coach Jay Ingram, the West Michigan Wolverines Speed Club provides world class coaching out of West Michigan. We are dedicated in teaching athletes of all ages, and skating abilities. Whether they have put on skates for the first time, are a dedicated competitive skater, or just here for the exercise, we strive to assist in the journey to their goals. As coaches, we not only teach the specifics about inline speed skating, but we aim to mentor a young generation in the world of sports and help them achieve greatness. 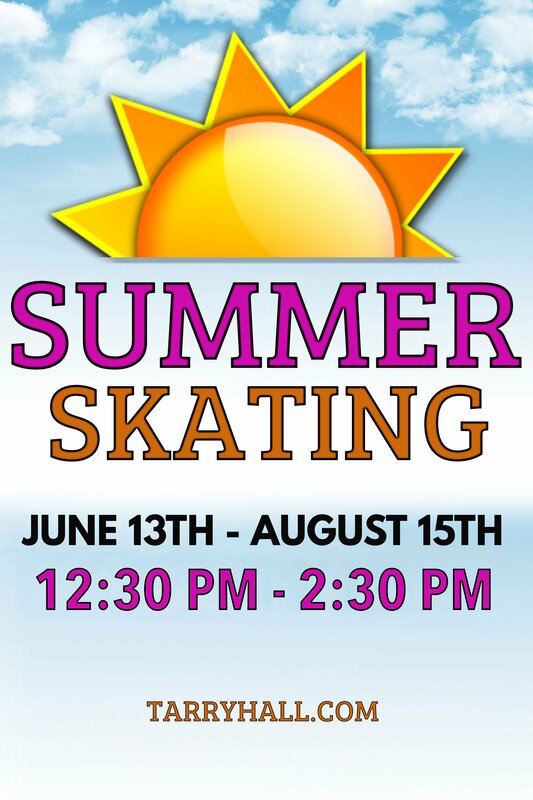 We offer many weekend and seasonal public skating sessions, private and public skating parties, large group rates, as well as fundraising opportunities. Can you describe your facility? Our facility has accommodations for 350 skaters. We offer a large fully stocked snack bar as well as roller skate and rollerblade rental. Our top of the line 5,200 watt sound system, and stunning light show ensure the highest level customer experience.